At a series of meetings held by the Neighbourhood Planning Sub-Committee, town councillors and residents responded to a number of issues on how the ‘preferred option’ in the recently updated Wealden Local Plan would affect Hailsham in terms of economic strategy, local environmental quality and infrastructure delivery. At the meeting, it was confirmed that the Hailsham Town Council will support plans by Wealden District Council and other service providers for long-term infrastructure improvements to support future housing developments, subject to a number of questions being answered and assurances made before a formal acceptance of the key ‘sustainability’ issue of the draft plan can be agreed. Areas of concern that the Town Council will ask to be addressed and both the feasibility and affordability of proposed additional infrastructure demonstrated before full support for the plan can be given include education, medical services, road and public transport, conservation and the environment, employment, tourism, sport and leisure, cemetery grave spaces, utilities and services, emergency service provision and the allocation of social and affordable housing. Wealden District Council agrees to and pays for a jointly developed “Area Action Plan” (AAP) to plan for the required infrastructure in advance – The Town Council will continue to work on the establishment of a Neighbourhood Development Plan however, at least until such time that the proposed Area Action Plan is developed. Wealden District Council reviews and upadates their approved Wealden Design Guide (WDG) where necessary in order to ensure that only appropriate design development proposals are allowed to come forward during the Local Plan delivery period. All service stakeholders (e.g. East Sussex County Council, local schools and clinical commissioning groups) are identified for the timely delivery of the requirements in the Infrastructure Delivery Plan (IDP). Wealden District Council will work with the Eastbourne, Hailsham and Seaford Clinical Commissioning Group (CCG) to agree the construction of a Hailsham Specialist Medical Centre whilst funds are available. Wealden District Council will establish a Revolving Infrastructure Fund (RIF) to meet the increased demands placed on the local area such as education, health, transport (road and public), business, employment, sport, tourism and leisure. 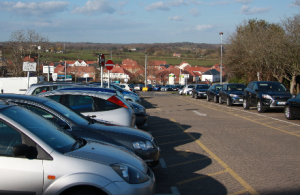 Hailsham Town Council will also work with other local authorities to lobby other major infrastructure suppliers for needs in South Wealden that have been identified as critical to the proposed development. This includes the major upgrade of the A27 from Polegate to Lewes, major public transport requirements and commercial, employment and retail developments deemed necessary to sustain the housing numbers and growth in population. “We will continue to work with Wealden District Council and support the Local Plan subject to a number of assurances being met,” said Town Mayor and Chairman of Hailsham Town Council Nigel Coltman, who states it is vital that the infrastructure to support new housing in Hailsham and Hellingly comes either before or in parallel with the proposed developments.